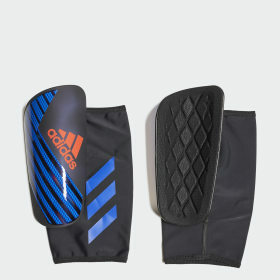 Protect your shins in every game with durable, tough, responsive and comfortable adidas football shin pads. 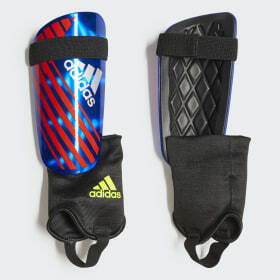 We’ve brought together decades of football technology to create a range of shin pads that adapt to your game whilst protecting the most at risk parts of your body. 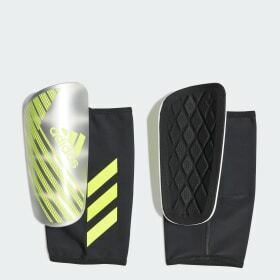 Our football shin pads feature polypropylene and polypropylene thermoplastic injection-moulded guard plates that offer solid shin protection, with a degree of flexibility to help you move freely on the pitch. 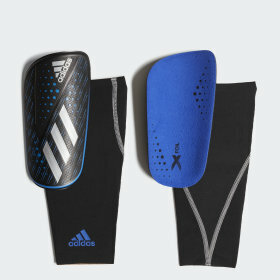 We also offer pads with flexible five stick shield construction, for enhanced air circulation and soft flexible support. 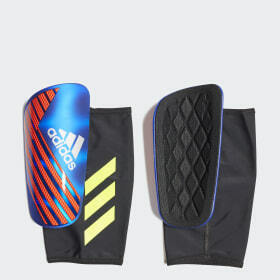 EVA backings offer comfort and cushioning that reduces the impact of the shin pads during tough tackles. 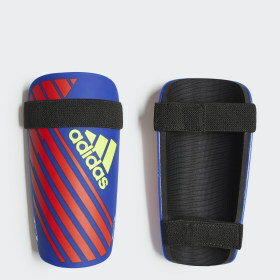 Our shin pads are designed to suit a range of fits and playing styles to give you flexibility on the pitch. 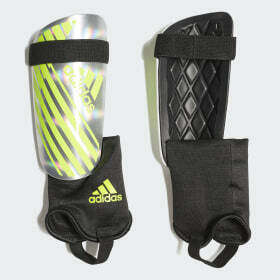 Simple slip-in shin pads are held in place by your football socks, and offer a tough inner layer of protection. Attached ankle guards with single-strap front closures provide a slip on fit with additional ankle protection and a better fit. 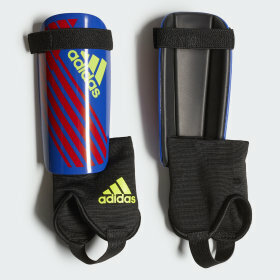 Adjustable single or double Velcro straps help you lock down the shin pads for a fit that won’t slip during long games. 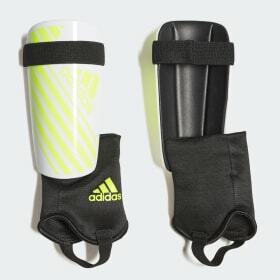 Shin guard stays meanwhile are designed to hold shin pads in place and reduce slip if not worn with ankle support enclosures. 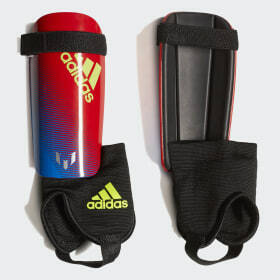 As well as graphic designs and adidas logos our football shin pads come in a range of sizes from xs to xl and are suitable for men, women and children. 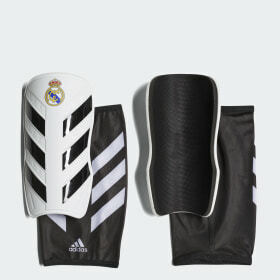 Adjustable and elasticated straps ensure you’ll get a tight, comfortable fit that won’t slip. 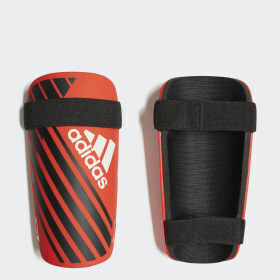 Keep your head in the game and stay safe with adidas football shin pads. 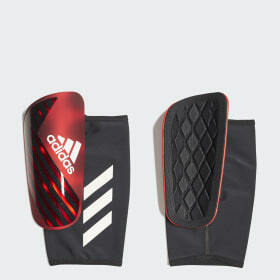 Experience comfort and protection as you move freely and unleash your skill on the pitch.